Seiko Optical Products Co. Ltd., wholesaler of optical lenses, frames, and other optical products, has a long history and a distinguished track record of achievements. The company is widely known in the spectacle market both in Japan and around the world and has introduced many first-of-its-kind spectacle lenses in Japan and also in the world. The company offers an extensive range of lenses, a variety of frames for men, women and children and up-to-date technology to meet the growing and diverse demands of consumers and match up to their requirements. The vision of the company is to produce eyewear that performs for every individual through their global, industry-leading technology, quality and design. The foundations of the company were laid by Kintaro Hattori, when he opened a watch and jewellery shop, K Hattori in Tokyo, Japan. After retailing for 11 years, Hattori began producing clocks under the brand name, Seikosha, which literally meant the ‘house of exquisite workmanship’. In 1917, the company was incorporated as K. Hattori & Co. Ltd. The company was renamed in 1983 as Hattori Seiko Co., Ltd. and then as Seiko Corporation in 1990. In due course of time, the company underwent changes and created its operating subsidiaries such as Seiko Watch Corporation and Seiko Clock Inc.. Seiko became a holding company in 2001 and was renamed Seiko Holdings Corporation on July 1, 2007. One of the reasons of the company’s growth can be attributed to the parent’s company’s philosophy of ‘Always one step ahead of the rest’. The company produced their first watch in 1924 under the brand name Seiko. Later, in 1969, it also came up with the world’s first production quartz watch called Astron. When this quartz watch was launched, it was priced the same as a medium-sized car. The company is also credited with introducing quartz chronograph. In 1985, Seiko joined hands with Orient Watches to open a factory called Hattori Seiki Co. Ltd. The first optical glass lens was launched under the name Vista in 1942 by K. Hattori and Co. Ltd. In 1964, the company established Nichibei Lens Centre Co. Ltd, which introduced, for the first time, a laboratory system in Japan for the polishing and manufacturing of glass lenses. It was in 1973 that the company ventured into manufacturing frames under their lens brand, Vista. The company made its presence felt by launching domestically produced plastic and optical plastic progressive lenses. In 1982, the brand name was changed from Vista to Seiko and lenses were manufactured under this new name. Four years later, in 1986, Seiko came out with ‘Senior 50’ lenses, which were the world’s first indoor progressive lenses. Just three years down the line, in 1989, Seiko manufactured the world’s first minus-power aspheric single vision lens, Seiko Super MX. The company also started manufacturing frames under its new brand name from the same year. In another milestone of sorts, in the following year, 1990, the company released P-1 G brand of lenses, which were the world’s first aspheric progressive lenses. 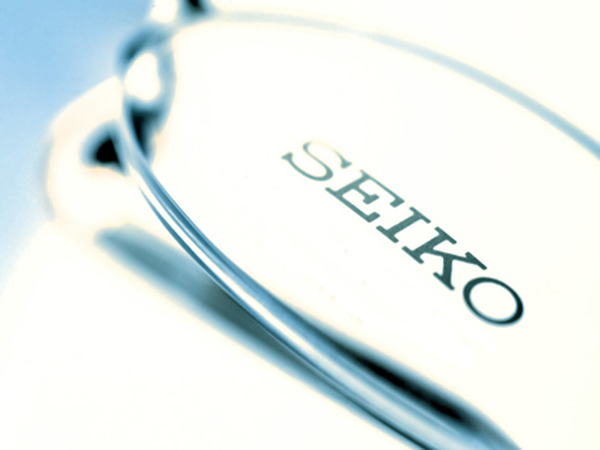 Seiko Optical Products Co. Ltd. continued its foray in creating world-class lenses. In 1998, they released SSV AtoZ brand of lenses, which were the world’s first double-sided aspheric lenses. The sale of Seiko Prestige, an aspheric single vision lens with a refractive index of 1.74, was launched in 2000. Their product series, SSP-1 and SFCK, won awards in the good design section in 2003. The PENTAX Corporation (which is at present called the Hoya Corporation) consolidated business with Seiko Optical Products to sell lenses under their brand name, Pentax, from 2004. The company launched Seiko Orgatech series in 2006, which are lenses that are resistant to heat, damage, dirt, shocks and ultraviolet light with the use of an organic AR coating. They also launched Seiko Indoor LD, which were near-mid range custom lenses for everyday indoor use. The company was also the one to use Zone Design for the first time in the world for their Seiko A-Zone, which were the company’s highest single-focus lenses that released in 2011. Seiko has an extensive portfolio, comprising frames and lenses, featuring exemplary products. The company offers extensive support for vision correction feature lenses that can be used for Myopia, Hyperopia and Astigmatism. This type of lens is thin, light and provides superior beauty to the eyes when worn. This type has become the mainstream. You can choose from an extensive range of lenses to match your vision and your purpose of use. These are the best series of lenses for myopia, hyperopia and astigmatism. These advanced lenses have been developed by Seiko using the world’s first ‘ZONE DESIGN’ which employs two different designs to achieve an aesthetically thin and flat appearance. Three products are available in this range, which are A-ZONE 174, A-ZONE 167 and A-ZONE 160. These are the core series of lenses for myopia, hyperopia and astigmatism. Seiko developed the world’s first Double-aspheric lens to minimise distortions and improve peripheral vision right up to the edge of the lens. Improving wearer vision and comfort also resulted in thinner and flatter lenses. The three products available in this category are: SPG AZ, SSV AZ, SLU AZ. These are thin and light lenses that control blurring through the ‘Aspheric Design’ of the front surface of the lens. There are three variants available in this category, which are PRESTIGE, Super Sovereign UV and Super Luscious UV. These are custom-made high curve lenses with wide peripheral vision that are perfect for both sports and driving. These protect your eyes, such as by preventing dust from getting behind them and cutting ultraviolet rays with a wider angle. The product available is called WIDETECH 167. The front surface of the lens has been aspherically designed. Compared to lenses with a spherical design, there is less blurring in the periphery and it is possible to have thinner and lighter lenses. The products are called UP, BL1.60 AS and Supalite III. Spherical Lens are regular concave and convex lenses with a spherical curve design. If the lens power increases, there is a disadvantage compared to aspheric design lenses, in that they become thicker and heavier. Two products are available in this range – UP 1.60S and UP2 1.55S. This range of lenses from Seiko offers an even more comfortable vision lifestyle for those over 40. These lenses enable you to see from up-close to in the far distance. Seiko offers a lineup with a variety of options: from bespoke designs created for each individual to lenses that match your lifestyle. Using a design tailored to suit your requirements and lifestyle, these lenses enable you to see even more clearly and comfortably. Seiko Individual lenses and STARVISION lenses are the two products which are available in this range. Seiko Individual lenses have a variety of options such as tailor-made progressive lenses, custom progressive lenses, progressive value lenses, custom-made lens by age, custom-made lenses by usage. STARVISION progressive lens are general-use lenses such as Regard, Wing and UJ2 and indoor lenses such as Caster. Seiko’s line of photochromic lenses is designed to protect eyes from the glare of ultraviolet rays using Transitions (S), Transitions and UP2 1.55S PH products. 1881 – Establishment by Kintaro Hattori of K Hattori & Co. Ltd., predecessor of today’s Seiko Holdings Corporation. 1921 – Import and sales of optical frames started by the optical department of K Hattori & Co. Ltd.
1942 – Optical glass lenses launched under the brand name Vista. 1964 – Nichibel Lens Center Co. Ltd. established. 1986 – ‘Senior 50’ lenses are launched. 1989 – Launch of sale of ‘SEIKO Super MX’, the world’s first minus-power aspheric single vision lens. Optical frames under the SEIKO brand released. 1990 – P-1 G brand lenses, the world’s first aspheric progressive lenses released. 1996 – Seiko Optical Products Co. Ltd. founded operation transferred from Seiko Holdings Corporation. 1997 – SS P-1 brand lenses, the world’s first back-surface progressive power lenses released. 1998 – SSV AtoZ brand lenses, the world’s first double-sided aspheric lenses released. 2000 – Launch of sale of ‘SEIKO Prestige’, a super refractive index (1.74) aspheric single vision lens. 2004 – PENTAX Corporation (Present HOYA corporation) and optical lens sales business consolidated to sell lenses under the brand name PENTAX, beginning January 1. 2005 – November 1 – Seiko Emblem lenses are launched. These are high quality bifocal glass lenses that employ a ‘Back-surface Progressive + Back-surface Aspheric Design’. 2006 – March 1 – ‘Seiko Super P-1 (Neo)’ lenses launched. – July 10 – The ‘Seiko Orgatech’ series launched. 2007 – October 1 – ‘Seiko Widetech’ lenses launched. 2008 – June 2 – ‘Seiko Synergy WD’ lenses launched. 2009 – April 1 – ‘Seiko Superior P-1’ launched. Wins the 2009 Good Design Award. – December 1 – The ‘Super-Resistant-Coat’ released. 2010 – September 1 – ‘Seiko Indoor LD’ lenses are launched. Seiko Pursuit CV lenses launched. – November 18 – ‘Seiko Pursuit EV’ lenses are launched. 2011 – June 1 – ‘Seiko A-Zone’ lenses launched.